I decided it was time to go short. Actually, I don’t think I decided until I was in the stylist’s chair. For a while, I was contemplating growing my hair out for….reasons. But recently, my toddler has taken to pulling my hair every chance she gets, and she is talented enough to be able to pull hair out of a ponytail. Plus, I was getting fairy knots. What’s a fairy knot? Basically it’s when a single strand of hair has a knot on it, and nothing will get it out except cutting it off, which I leave to the professionals. I don’t trust myself with scissors and hair. It’s true–when my husband and I were newlyweds, I tried to cut his hair, because his mother cut his hair (as well as his dad’s and brothers’) to save money. Believe me, I tried valiantly and swore much because my husband has THICK, WIRY hair. It’s horrible. Finally, he just started going to Great Clips and never looked back. Me NOT cutting his hair saved our marriage, no joke. 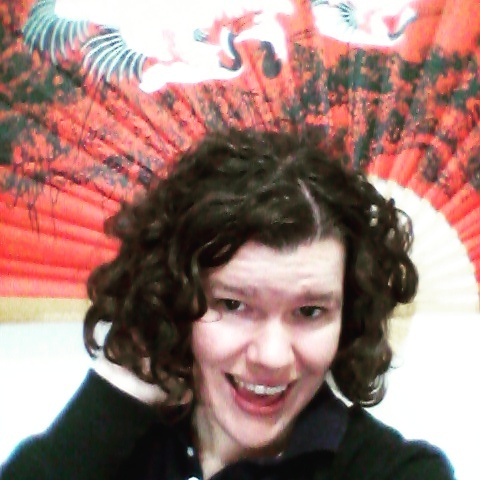 When my stylist (Deva Certified, might I add) asked me what I wanted, I found myself telling her that I wanted my hair to be chin length, with some layers of course. Was I seriously doing this? Yup, I was. She did a dry cut first (as a good curly hair stylist does), washed my hair with the Deva Curl Decadence line (note, I am going to try out that conditioner because it was so moisturizing, and my hair looooves moisture). Then she smoothed in some of the Deva styling cream and scrunched in some Deva Ultra Defining gel. After that, I sat under a dryer for a little while and then she dried my hair some more with a diffuser. The final results? Success! Even my stylist was telling me how super cute I looked. I never thought I could pull of a curly bob, but here I was, with a curly bob and I was loving it. I thought I looked like a cute young mom. 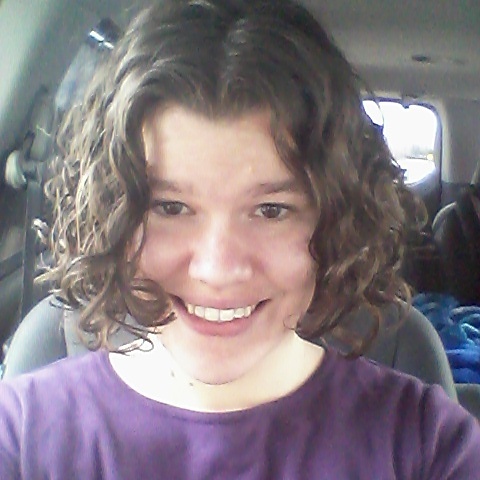 So now, I’m figuring out how to wash and style these short curls, but I’m still loving it. It’s so much easier to achieve second and third-day hair because my hair isn’t weighed down by length. Detangling is also less time-consuming. Shampoo: Cantu Sulfate-Free Cleansing Cream Shampoo (purchased for $5.99 for 13.5 ounces at my local grocery store). I also use a shampoo brush to really massage it in. Rinse-out/deep conditioner: SheaMoisture Raw Shea Butter Restorative Conditioner (purchased for about $10.99 for 13 oz. again from my local grocer). This is also when I detangle with my shower comb. Then I leave it in for 3-5 minutes while I do other shower stuff. Squish to Condish: Say Yes To Coconuts and Argan Oil from Target ($7.99 for 12 oz.). I flip my hair upside down (with SheaMoisture conditioner still in), letting the water run over my hair. I rake a palmful of this conditioner through my hair until it feels like seaweed, fill my cupped hands with water, and gently squish it into my hair. I do this and apply more conditioner as needed until I’m satisfied (that’s the best way I can describe it). And then I squish the excess water out with a t-shirt or my DevaCurl microfiber towel when I hop out of the shower, and proceed to styling. Leave-in Conditioner: Garnier Whole Blends Legendary Olive leave-in conditioner. I got it for less than six dollars for 10.2 ounces. I rake this through, just enough to detangle any missed areas. I focus on the back of my hair because it tends to be the driest. Cream: I use DevaCurl Styling Cream. A bit of a splurge, but a little goes a long way. I rake some of this through my hair. After applying the cream, I make sure to “clump” the hair, and then I twist individual curls to promote definition. Gel: LaBella Maximum Hold Gel. I think I got this for less than two bucks for a decent sized bottle. I flip my head upside down and scrunch a bunch in. When I’m done, I use my trusty t-shirt or Deva towel to absorb the extra moisture, and then I either plop my hair on a t-shirt or I clip my hair up on the top of my scalp (to lift the roots for a little volume). After an hour or two, I diffuse. That my friends, is my current wash-and-go routine. I hope it wasn’t too complicated. I do not profit in any way from these links–they are merely to make it easier for you to find them. Enjoy!